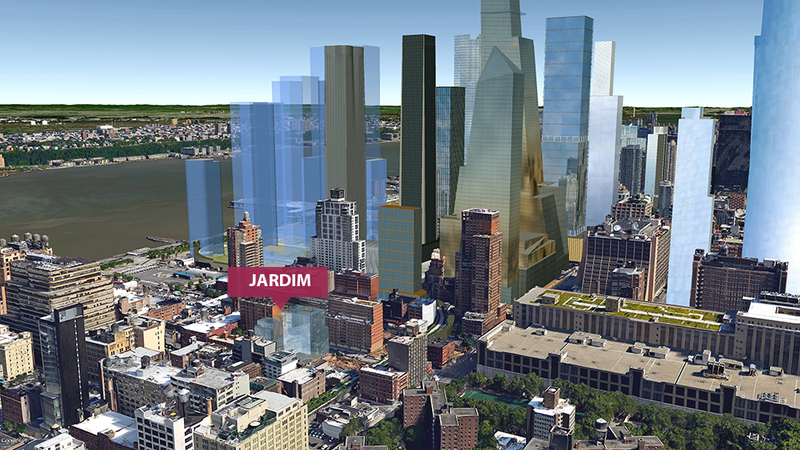 Renderings via New York YIMBY. 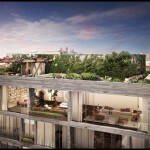 A new full set of renderings has surfaced from New York YIMBY revealing designs for the West Chelsea condominium project at 527 West 27th Street known as Jardim. 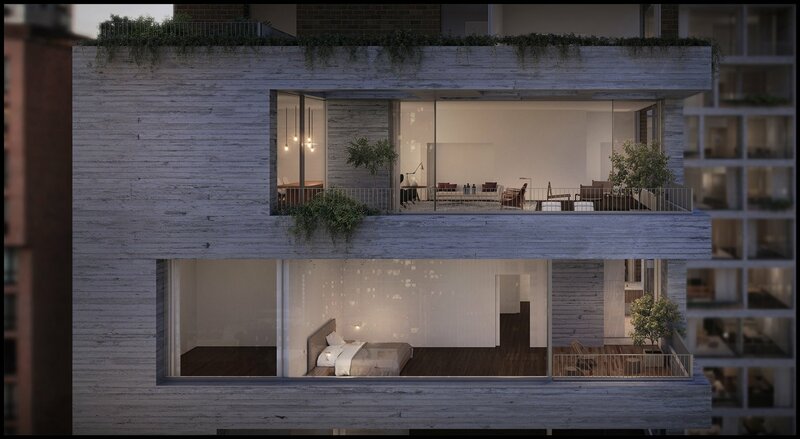 The High Line-adjacent project, designed by Brazilian architect Isay Weinfeld, is being developed by Centaur Properties and Greyscale Development Group. 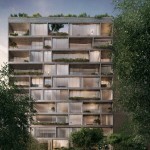 The renderings show the project living up to its name (Portuguese for “garden”), with a cast-concrete facade and interspersed sections of greenery, in keeping with the building’s interpretation of the “concrete jungle” theme. 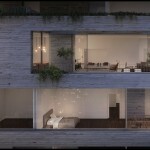 Most notable is the garden-covered roof; there are also landscaped terraces and balconies filled with plantings. 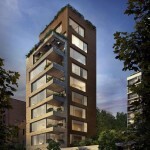 The new project will consist of two 11-story buildings, distinct but different from one another, holding 36 condominiums with an average of 2,500 square feet, and 12,000 square feet of retail and parking. 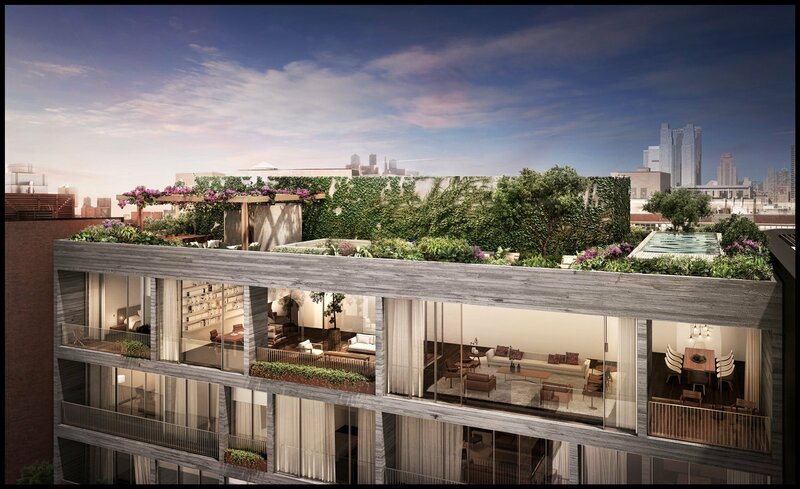 Additional amenities will include a garden, indoor swimming pool, fitness center, massage room, children’s play area and personal storage. Completion is slated for the end of 2016, with sales launching sometime this year. 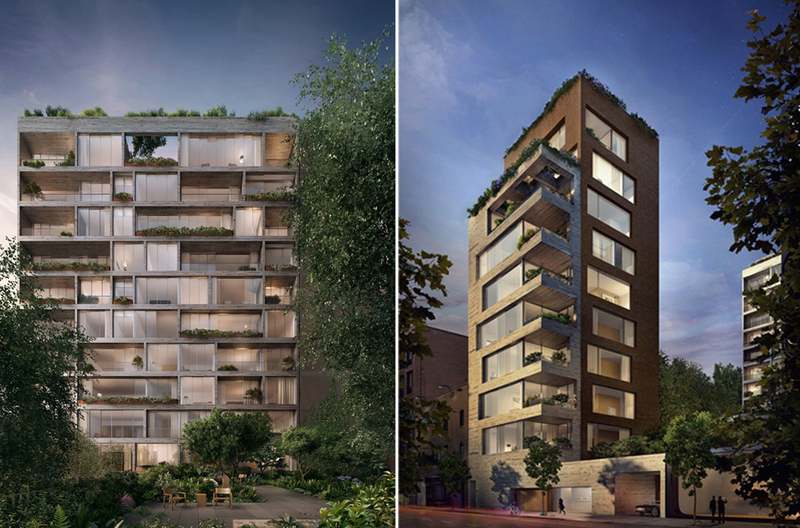 Along with Related’s headline-grabbing Zaha Hadid-designed 520 West 28th Street project next door, Jardim is among the latest crop of luxury High Line condos in the pipeline.